The weekly charge for living in your home and the services we provide is called rent. We mainly use rent income to pay for day to day repairs, maintain your home and provide you with services. We use some of it pay the people who work for us and some to payback the money we have borrowed to improve your neighbourhood. You will be given a rent card when you start your tenancy. Your rent is due in advance every Monday from the start of your tenancy. You can also make arrangements with your Rent Officer to pay weekly, fortnightly or monthly. Whichever payment method you choose, you will pay the same amount over the year. You should not be in rent arrears irrespective of your method of payment. Your Rent Officer can help you answer questions about your rent and any benefit entitlements. They can help you make an income and spending plan that will help you look after your money. They can also help you to complete forms about your rent or benefits. We also have Welfare Rights Officers and Debt Advisors, who can give you free specialist advice on money issues. Need a new rent card? Use this online form to order a new card. Use your bank debit or credit card to pay over the internet. The money will go out of your account within one working day. Simply log onto www.allpayments.net where you can also register to pay by text. Direct debit is the most efficient method to pay. The money is deducted straight from your bank account on a day you agree. If you would like to pay this way please call our rents team on 0800 633 5500 / 0300 111 0000 to set the payments up. Alternatively call into one of our offices. The new app from allpay can be downloaded for FREE from Google Play or the Apple App Store to your smartphone. If you have any questions about how the app can be used allpay have produced the following Frequently Asked Questions on their website http://www.allpay.net/app. Alternatively for support with downloading the allpay App or answers to any other questions email appsupport@allpay.net. 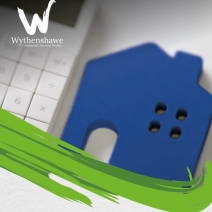 If you have forgotten your tenancy reference number or you can’t use an automated service please ring us on 0800 633 5500 / 0300 111 0000 during normal office hours and one of our members of staff will be pleased to take your payment. Use your rent card to pay at any post office. Pay by cash, cheque or debit card. It’s a free service. Look out for the Paypoint logo at your local shop, newsagent or petrol station. Use your rent card and pay with cash. It’s a free and confidential service and shop staff will not see your rent account. Please remember to keep your receipt. Print off this Standing order form. Please remember to put your name, address and and rent card reference number on the back of the cheque.